Abstract: Time series data is ubiquitous: weekly initial unemployment claim, daily term structure of interest rates, tick level stock prices, weekly company sales, daily foot traffic recorded by mobile devices, and daily number of steps taken recorded by a wearable, just to name a few. Bio: Jeffrey is the Chief Data Scientist at AllianceBernstein, a global investment firm managing over $500 billion. 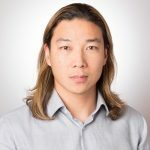 He is responsible for building and leading the data science group, partnering with investment professionals to create investment signals using data science, and collaborating with sales and marketing teams to analyze clients. Graduated with a Ph.D. in economics from the University of Pennsylvania, he has also taught statistics, econometrics, and machine learning courses at UC Berkeley, Cornell, NYU, the University of Pennsylvania, and Virginia Tech. Previously, Jeffrey held advanced analytic positions at Silicon Valley Data Science, Charles Schwab Corporation, KPMG, and Moody’s Analytics.